Can you really get paid for writing reviews? I think that depends on your perspective. If you are looking for a quick way to make money, forget it. Equally, if you are looking to make a fortune, I would say you are out of luck here as well. If you are used to writing reviews for free, then you may be able to make a little extra, eventually. 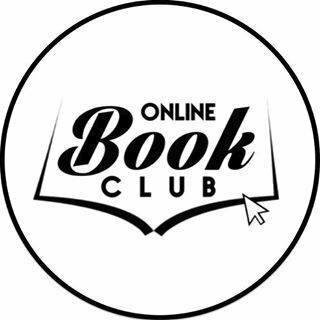 I joined the book club in April 2018 and to date, I have not qualified for any paid reviews. On the website, they say you only need to read one book and providing you adhere to the guidelines you are ready to start receiving paid reviews. This is not strictly true, you need 35 points before you qualify for any paid reviews. I’ve read 12 books and I still only have 10 points. Why? I’m not very good with rules! Rule 1: You must stick to the guidelines, or you’re toast. My first review got 13 points, my second left me with -16 points, because they can not only give, they can take away. You must summarise the plot, but this can’t be more than half the review, so use your word count and for a 400-word review, the summary must not be more than 200 words. Don’t include spoilers. Make sure you mention who would like the book – men/women, young adults, lovers of romance, crime fiction, fantasy etc. Watch your spacing, bold type and italics, remember all book titles should be in italics. The formatting guidelines are worth 30 marks out of 100 and are all or nothing, so it is very important you adhere to them. Rule 2: Grammar and spelling. You are only allowed 4 mistakes then you get no credit at all. If you are like me you hardly ever get any credit for this, so you need to try and make up for it with a good review. The free version of Grammarly helps weed out some mistakes. Rule 3: Only choose books from the select button on the review score page. If it is not listed there you won’t get any credit for reading it. Rule 4: Book of the month. You get extra points if you join in the discussion around the book of the month by posting to the forums. I have been able to get the book of the month under the select button, but I’m not sure how I did it. I think it was by claiming the free copy and then going to the review score page. Be aware I once called one book of the month 50 shades of tripe. I was a little miffed as I had bought it at full price and it wasn’t as good as the indie book I had just finished. Rule 5: Twitter/Facebook. If you are willing to post on social media, then you get a little more credit to add to your score. I only usually post my reviews on Twitter. They have daily books which you can tweet about, but I don’t like talking about things I haven’t read, so I don’t get any credit. What you get out of it depends on what you are willing to do. Most of the books are free and if you see something that isn’t, it probably will be included in the daily deals at some point in the near future, so keep looking. They have an author service, but I could not find the price when writing this. I think it used to be about $79 for 10 reviews, but you need to register before you are told the price now. I note that in the author questions it states that the cost of reviews are minimal compared to other things a publishing company pays for and if you can’t afford it perhaps you shouldn’t be publishing a book. You can draw your own conclusions from that. Will I continue to strive to meet their targets? I don’t know, it is an awful lot of work and you can’t post the same review on Amazon. You’re constantly on a treadmill trying to get through as many books as possible and so you don’t have the time to offer reviews to any other indie authors. For me, it will never be a replacement income and I think my enthusiasm for it will wane over time.